Can you help us to identify any of the people in this image? A black and white photograph of four Town Line school students with arms linked. 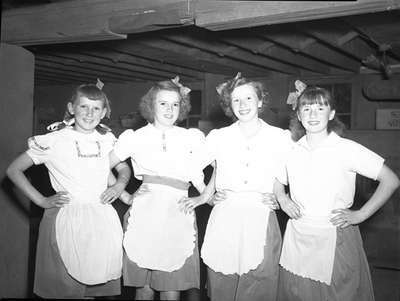 Town Line School Students (Image 2 of 4), June 8, 1948, Marjorie Ruddy. Whitby Archives A2013_040_1176.